This review has been sitting in the ‘to post’ box for a while, for reasons that will become evident. The Fall are, of course, probably the most prolific post-punk bands with some thirty studio albums and an enormous collection of live and compilation albums to their near-forty year history. This output of music is only matched by the number of performers who have graced themselves as members of the band, now approaching seventy with only sardonic and contrary front man Mark E. Smith being a consistent feature of the group, once leading him to apparently quip “If it’s me and your granny on bongos, then it’s The Fall” – ‘citation needed’, as they say. It is, however, worth pointing out that the current line-up is the most stable that has been ever been witnessed in the band’s existence with current members Mark E. Smith, Elena Poulou, Dave Spurr, Pete Greenway, and Keiron Melling all being members for several years and newcomer Daren Garratt being a recent addition rather than a replacement. With the release of their thirtieth album Sub-Lingual Tablet The Fall scored a gig at the Foxtel Festival Hub, in Melbourne on October 23 and 24, 2015. The album itself has received average-good reviews and of course the band has an enormous range of material to draw upon, so expectations were quite high. Alas the venue, as is often the case, proven to a critical flaw in what otherwise could have been a good concert. To put it bluntly, the hot wooden box and fire hazard with appalling acoustics that makes up the Foxtel Festival Hub is possibly the worst venue to see anybody perform. True it is possible to get a reasonable sound out of the place, as the Pop Crimes concert of a year prior showed. But it does requires some very attentive mixers and a tactical positioning of speakers. This was not the case at the concert of October 24. You could see the performers doing their utmost best, a credit to them, to try to create the enticing sounds that The Fall are well known for. 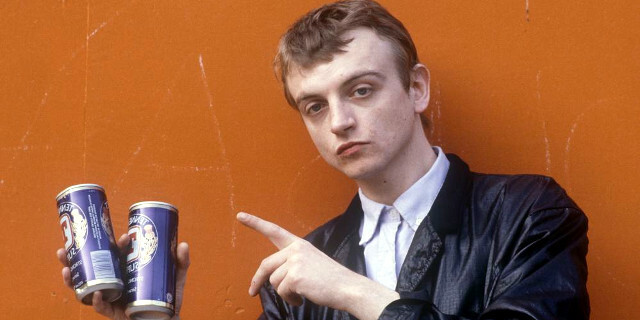 Even Mark E. Smith’s characteristic anti-melodic voice however failed to carry against the wall of noise generated by the twin towers of speakers. Try as one might to placing oneself in several locations in the hall over the night, there was no location which provided sufficiently clarity – and this was evident in among the fans who attended as well. Many were enthusiastic to see these venerable heroes of their age, and many were grimacing at the sound quality; the intersection between the two sets was large. The concert itself was relatively short by modern standards; a mere ten tracks with a two-track encore, of which approximately half came from the most recent album which isn’t really a high point of the band’s standards. True, some tracks show some promise as a experimental b-side (e.g., Dedication Not Medication), but the best performances came from other sources such as the opening Wolf Kidult Man, Bury, and the closing Mr. Pharmacist. But overall, this certainly counts as the worst concert that I have been to in several years with very few redeeming features; poor sound, poor venue, poor choice of songs. Despite the time that has passed since the concert itself, these comments are still accurate: “the heart has its own memory and I have forgotten nothing”.